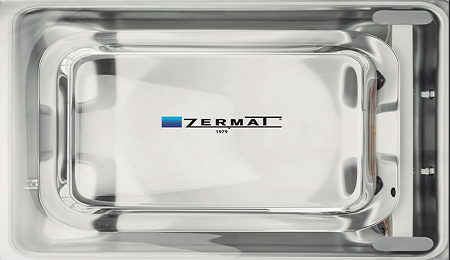 Zermat, company dedicated to vacuum packaging with more than 30 years of experience, since 1979, with sustained and constant growth. 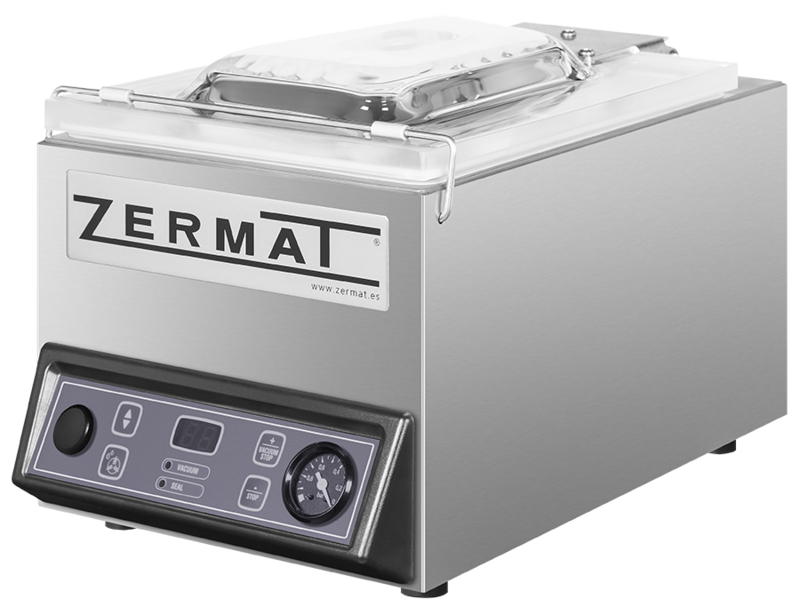 We manufacture a wide range of vacuum packing machines to cover all the measures and levels of production with an important recognition and prestige within the sector. The production is constant and without breaks. Year after year, week by week, ZERMAT packaging machines are delivered to countless destinations, thousands of equipment designed and manufactured for the packaging of all types of products. Since 2006 ZERMAT has joined the KHZ alliance for the joint manufacture of equipment with different company’s manufacturers of packaging systems with high quality in Austria, Germany, Holland and Italy. Each equipment is produced by the most specialized manufacturer and its high quality is guaranteed by all, the objective of this alliance is always to satisfy with better precision the need of each project. The quality of our machinery is endorsed by a portfolio of customers composed of producers and handlers of all kinds of food and perishable needs, manufacturers of components and various industries. The innovation in our ZERMAT machinery has been and will be a constant for us. The performance and the possibilities of increasing the competitiveness of your business is a determining factor in choosing one machine or another. 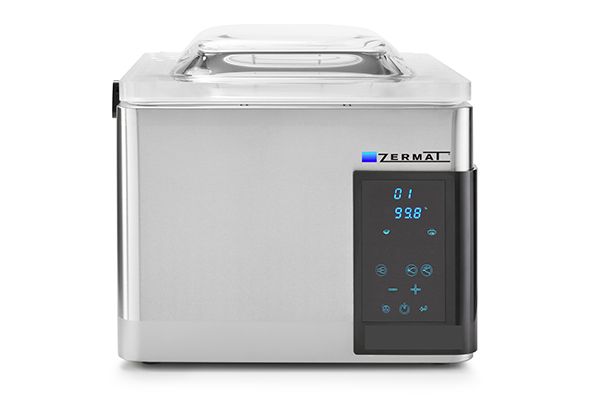 All ZERMAT equipments are manufactured with durability and quality pieces. Always in constant study of new applications and systems to increase the possibilities of the vacuum packaging, as well as the production increase, performance and durability of our equipment. Proud to advise, attend and solve all the demands of ZERMAT projects and customers. the necessary daily production level. All our knowledge and experience at your service; the perfect packaging and preservation of your products is our commitment. From raw, cooked, processed or processed foods, to electronic components, automotive, textiles, pharmaceutical products, or any part you can imagine, everything is possible to pack with a ZERMAT equipment. Our extensive network of installers can offer you the necessary technical assistance for the maintenance, repair or revision of your packaging machine. 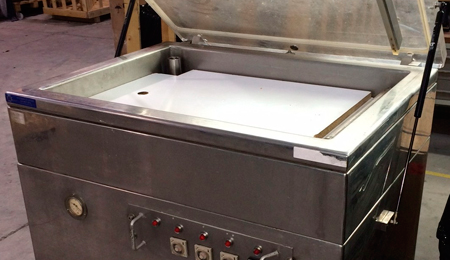 We receive ZERMAT equipment at our facilities in Barcelona for its commissioning / revision. Our after-sales department offers advice and online-instructions (skype-WhatsApp-facetime ...) for the installation or repair of your ZERMAT machine. And lines adapted to each production. 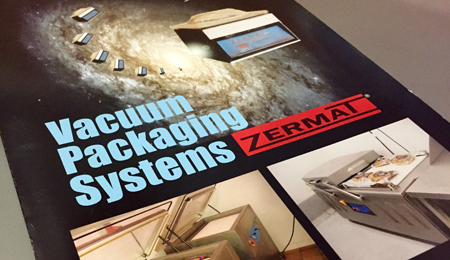 Systems for vacuum packaging, our profession. The automated production lines, our specialty. Since 2002, ZERMAT has imported the range of commercial and industrial slicers from the GRAEF brand exclusively for all Spanish-speaking markets. 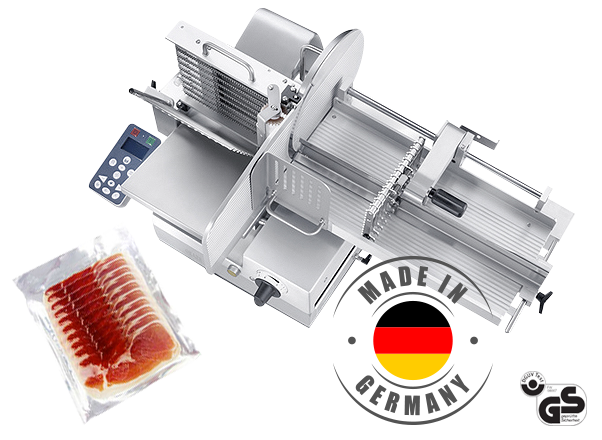 Highest quality machines, manufactured in Germany that combine perfectly with ZERMAT packaging machines for slicing and food packaging tasks.